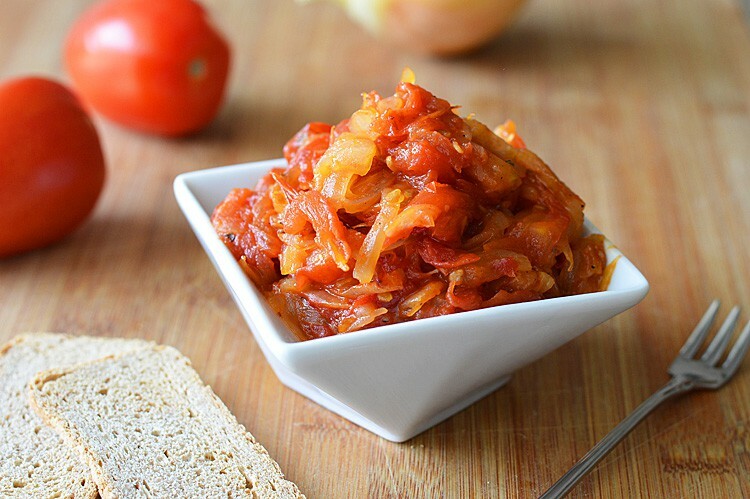 This amazingly sweet and savory combination of caramelized onions and roasted tomatos makes an awesome jam that you can use to top crackers or bruschetta, a veggie burger, make a tart with puff pastry, fill a vegan crepe, top a vegan veggie loaf, etc. You get the idea. So versatile and the beauty is in its simplicity. 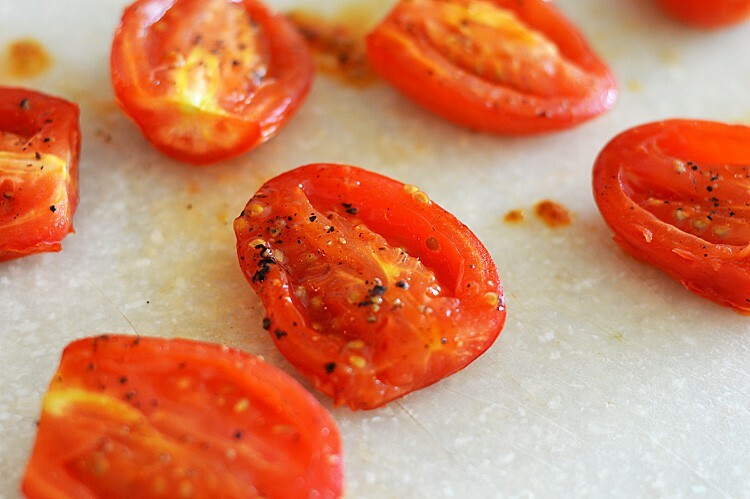 Then onto roasting those tomatos. I used Roma’s because they are so plentiful right now. Use whatever is in season for you. Add a little olive oil, salt and pepper and into an oven set 375 degrees, flipping once. And that’s it! Slice or dice the tomatos so they will cook down into the jam a bit more quickly. I left mine a bit larger sliced. Slice the tomatos in half lengthwise. 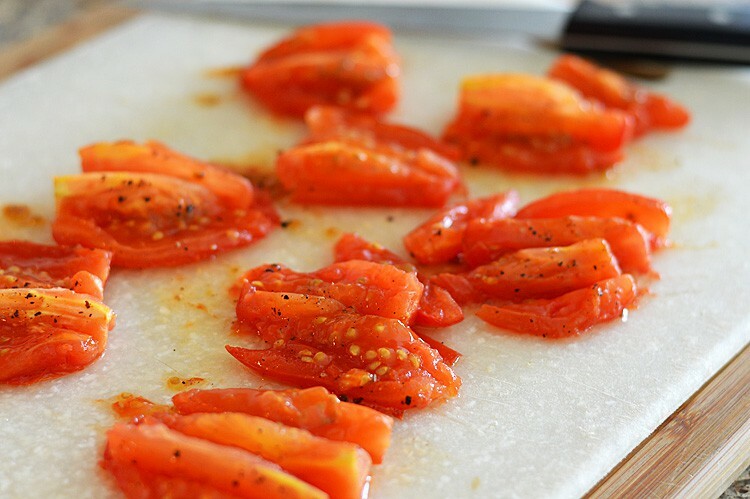 Very lightly brush the tomatos with olive oil and season with salt and pepper. Roast for 30 minutes, flipping once, until tender and edges are a bit charred. Not too much though. You don't want that taste to come through in the final product. 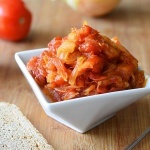 Allow to cool slightly before slicing or dicing. Meanwhile, peel and slice the onion. In a large saute pan, add the margarine and olive oil and saute very slowly until golden and sweet. This takes awhile. Even up to an hour. You can always expedite the process by adding a teaspoon of sugar which helps in the the caramelization process. This is completely optional. Add the sliced tomatos to the onions along with the balsamic and thyme leaves. Saute until thickened and it reaches a jam-like consistency.